An area of Argyll that gets more than its share of negative publicity by being prone to landslides, is gearing up to cash in on its motorsport heritage. Ambitious plans to create a visitor attraction at the Rest and Be Thankful have received support of Scots grand prix legend, Sir Jackie Stewart who competed on the hill in his youth. The Rest and Be Thankful Heritage Project envisages retail, cafe and arts spaces within a contemporary building which will also celebrate the road’s link to Scotland’s rich motoring history. The project is the brainchild of Douglas Anderson, the man responsible for the return of the Monte Carlo Classic Rally to Scotland in 2011. The famous hill climb events were run by the Royal Scottish Automobile Club at the Glen Croe site, which was renowned for its 400ft gradient and hairpin bends on the old military road below the current A83 Tarbet to Campbeltown route which replaced it. The hill climbs attracted leading international drivers including the late Jim Clark until its condition meant only select events could be staged after 1970. 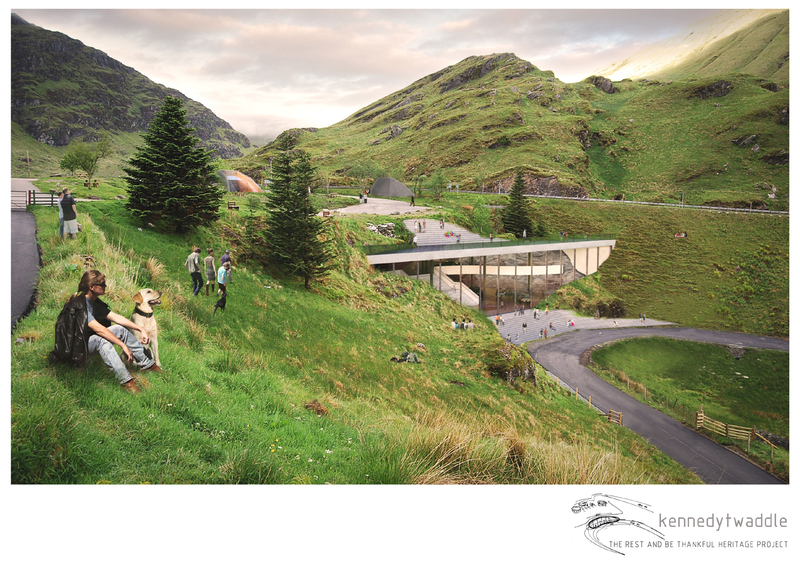 Project directors hope the sympathetic glass fronted building, set in the picturesque hillside, will breathe new life into the popular stopping place. Mr Anderson said: “The Rest and Be Thankful has great significance in motorsport terms because of the famous hill climb races. It was seen as the ultimate test for drivers in many ways because of the steepness and conditions and many greats like Jackie Stewart raced there. “The idea is to mark that connection within a permanent exhibition space but the project itself is more. The building will be a multi-use facility which could be used by the local community for film, business and cultural events and there will also be retail and a restaurant area. Meetings with Loch Lomond and the Trossachs National Park, VisitScotland and Transport Scotland have been positive. Sir Jackie Stewart, who last raced the 1,400 yard course in 1961, believes Scotland is missing such a landmark.